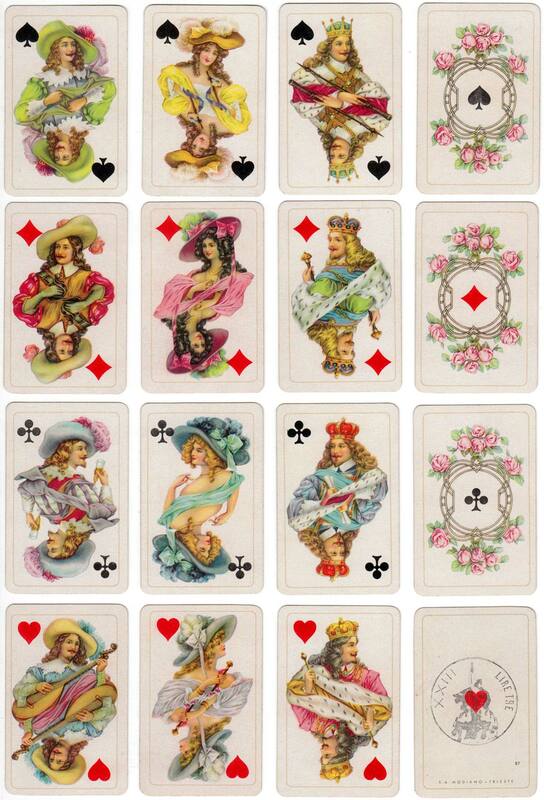 Modiano began printing playing cards in 1884 when a lithographic press was purchased to expand their printing business. Combining artistic style and quality, these designs were first printed as “Centaur” or “Centaurus” in the 1890s for the Austrian Lloyd Steamship Company of Trieste. 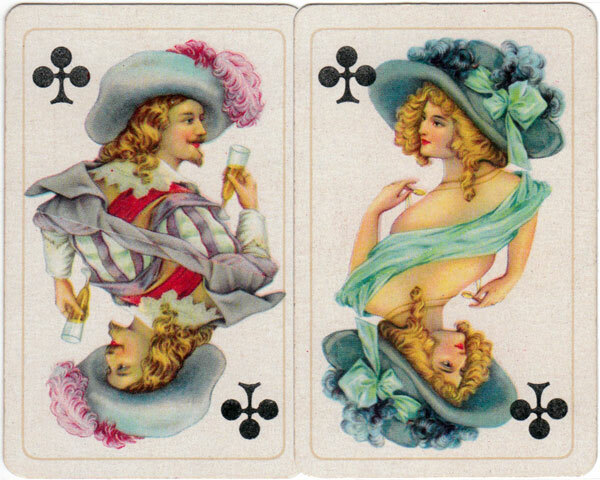 They were also published in different editions with alternative artwork on the Aces and Joker, including small indices in the margins. 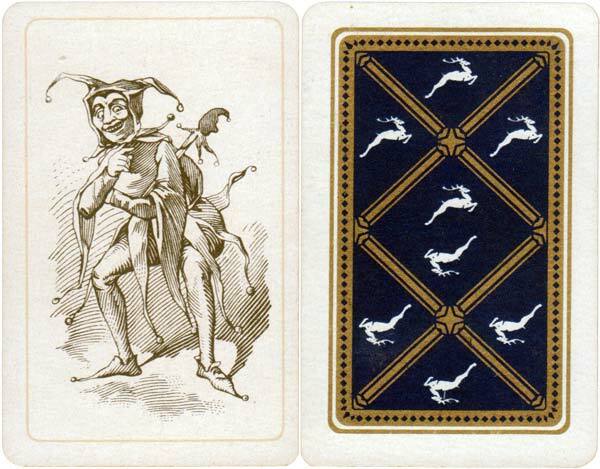 Here the designs are presented as a Patience deck with decorative aces and a Jester Joker, the Modiano logo on the reverse, but the box is plain with no title. A fortune-telling version is also known to have been published in the 1980s or 90s. Above & right: Patience cards published by Modiano, c.1945. The stamp on the ace of hearts was in use during the 'Italian Socialist Republic' 1944/45. The number 'XXIII' is for Trento. The reverse shows the Modiano logo repeating inside a blue and gold lattice. The box is plain with the Modiano logo. Images courtesy Rex Pitts.